Lake County’s onetime social and retail epicenter, built at the height of the postwar suburban boom. Three-anchor (with room for a fourth), two-level, 1.1m square-foot enclosed regional shopping center with tons of outparcels. 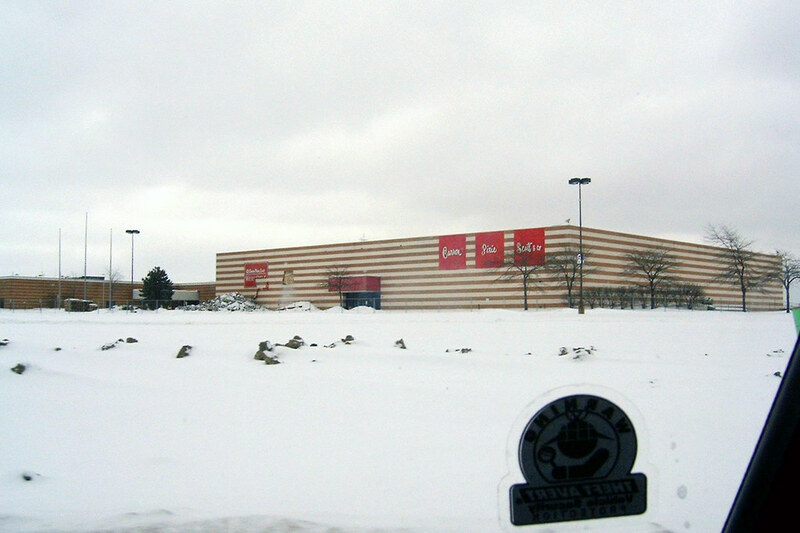 The mall thrived through the ’70s and ’80s, until totally collapsing under competition from Gurnee Mills in the 1990s. Two anchors left in December 1997, the last stores were out in 2001, and by 2004 the last anchor (Carson Pirie Scott) had turned out the lights. Status: DEMOLISHED. Redeveloped into Fountain Square of Waukegan. Notes: Perimeter-only… hey, I was 12 at the time.